Renton, Washington, is just 11 miles southeast of Seattle in the beautiful state of Washington. 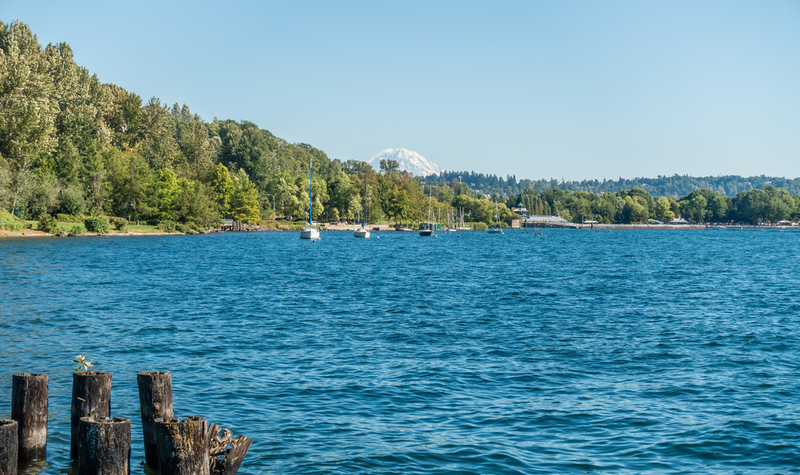 It is known for attractions like Lak Sammamish State Park and Cougar Mountain Regional Wildland. But even in such gorgeous surroundings, the residents of this city are dealing with a serious problem: drug and alcohol addiction. Substance use disorder is a real issue that affects the lives of millions of people all throughout the country. People are addicted to substances like prescription opioids, heroin, cocaine, marijuana, alcohol and methamphetamine. These substances can ruin lives and tear apart families and entire communities. Things may seem rather bleak for those who are in the throes of drug and alcohol addiction, but there is still hope. Addiction is a disease, and those who are afflicted with it simply need to seek medical treatment. Fortunately, there are many resources throughout Renton that are available to you. No matter who you are, the first step in your recovery journey must be detox. This is simply the process your body goes through when you stop using a substance like heroin or alcohol and the substance is eliminated from your body. Your body has become dependent on this substance, and it needs to get used to being without it. Unfortunately, for some substances, this means painful and sometimes dangerous withdrawal symptoms. Detox centers help to alleviate some of the pain you will go through when doing through those withdrawal symptoms. While you don’t want to be uncomfortable, a detox center can also be important in helping you to avoid fatal withdrawal symptoms. If you attempt to detox from benzodiazepines or alcohol on your own at home, it could go terribly wrong. Better than a detox center, though, is a treatment center that offers medical detox as well as treatment programs. In facilities such as these, once patients have undergone detox, they will be able to enter into an inpatient treatment program. The Recovery Village Ridgefield is one such facility. The patient who requires medical supervision around the clock is a good fit for a residential or inpatient treatment program. This is also a good fit for the patients who are most likely to relapse. These programs usually are around 30 days in duration although they are known to be shorter or longer in some facilities. In this program, patients stay in the facility overnight and participate in individual counseling, group therapy and other healing activities. Pausing your day-to-day life to go to a treatment center and receive treatment for addiction may be inconvenient. It is imperative, however, that you give yourself a break from your daily routine to focus on your own health. Without seeking the treatment you need for your substance use disorder, you won’t be able to fulfill any commitments you have anyway. When you take the time to heal, you are treating your family, your job, your education and your life with more consideration. In 2015, there were 718 opioid-related deaths in the state of Washington, according to The Department of Health. This statistic may seem discouraging. However, it’s also uplifting to consider that millions of people throughout the country are able to find the healing they need at treatment centers like The Recovery Village Ridgefield. Give us a call today if you need help with drug or alcohol addiction. Don’t become another statistic. Alcoholics Anonymous, Narcotics Anonymous and SMART Recovery are recovery groups that meet regularly in the Renton area. One of the most critical things you can do after completing a treatment program is find a regular recovery meeting that you can attend. Here are some options for the Renton area. “Keep coming back because it works if you work it.” That is one of the mottos of Alcoholics Anonymous, and it has proven to be true. Since 1935, Alcoholics Anonymous has been an effective recovery program for millions of people. With tools like the 12 steps and sponsorships, AA members are encouraged to look to a higher power for help with their alcohol addiction. Here are Renton AA meeting options. Narcotics Anonymous is the 12-step group that focuses on drug addiction as opposed to alcohol addiction. Founded in 1953, it is now the second largest recovery group in the world. There are currently NA meetings in nearly 140 countries all over the globe. While NA members are also encouraged to follow the 12 steps and work with sponsors, the only requirement for membership is a desire to stop using drugs. Here are the Renton NA meeting options. For some people, the concept of a higher power that 12-step groups depend on is a difficult one. SMART Recovery may be a better fit for these people as it focuses on self-reliance as opposed to relying on a higher power. In SMART Recovery, addiction is seen as a series of destructive behaviors that can be managed as opposed to a disease that must be treated. Here are the SMART Recovery meetings that are closest to Renton. Al-Anon is a sister organization to Alcoholics Anonymous, and Nar-Anon is a sister organization to Narcotics Anonymous. These are the 12-step groups that are dedicated to the friends, relatives, spouses and co-workers of those who suffer from alcohol or drug addiction. In a Nar-Anon or Al-Anon meeting, loved ones of those who struggle with substance use disorder are invited to lean on each other for support. Here are the options for meetings in Renton. Renton, Washington, is convenient to many cities that also have plentiful resources for those who are seeking drug and/or alcohol addiction treatment. If you are considering asking for help for your substance use disorder, please also consider exploring the following cities for additional resources.